Tom Holzer Ford is a premier Ford dealership in the Detroit Metro Area. They sell new and pre-owned vehicles for both consumer and business fleet needs. 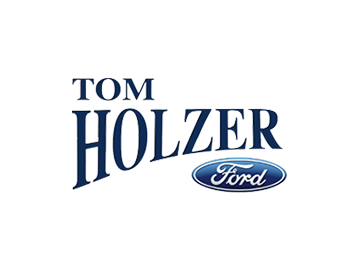 Tom Holzer Ford employs an experienced staff and strives to provide them with tools to help them work more efficiently. Their main challenge was to stop infighting among their sales staff. When a deal was finished, the salesperson would schedule the sold car to be detailed before being delivered to the customer. Without a reliable scheduling system in place, salespeople would often bump other sales people's deals during the process. This caused a lot of animosity and infighting among the sales staff. Not only did this make for an unfriendly work environment, deals that were promised to customers within a specified time were often delivered late. Not only did this cause problems internally but it also left customers frustrated at having to wait longer than anticipated to drive their car home. When Mr. Abboud realized how serious the problem had become, he knew that he had to find a solution that gave his staff the ability to work better together as well as get customers into their cars faster. Although he was concerned about what options were available, he knew that something had to change. Tom Holzer Ford started using Auto Scheduler Advantage™ and realized very quickly how it would help them reach their goals. Since Auto Scheduler Advantage™ was implemented at Tom Holzer Ford, they have seen significant improvements throughout the dealership. Not only were processes improved for both the sales and service departments but their accounting records became more accurate with the ability to track purchase orders. One key aspect of implementing the software that was beneficial to them really didn't have anything to do with fancy features. It had everything to do with how the system could be adapted to their specific needs. “Anytime I needed something changed, all I had to do was get in touch with David and it was fixed.” This allowed them to have software that worked specifically to their dealership's needs and gave them the flexibility to make the program work for them. The changes that have happened since Tom Holzer Ford started using Auto Scheduler Advantage™ have significantly improved how their departments interact with each other. Their sales department knows when they can schedule the delivery of a vehicle to their customer and their service department knows what to expect and when. For more information about Auto Scheduler Advantage™ or to schedule a free 30-day trial, please click below or contact David Miller at 586-264-5632.